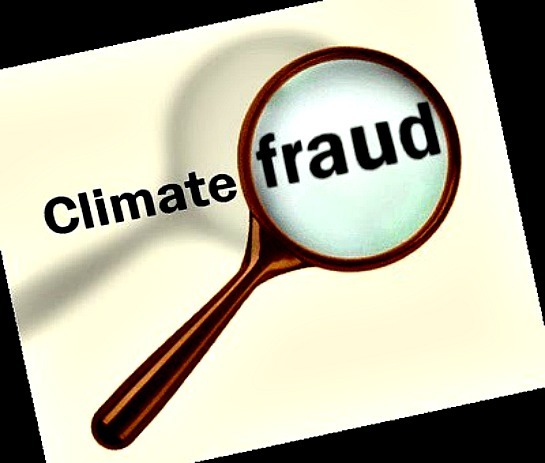 The manufactured climate change crisis may one day be remembered as the greatest fraud in science history. 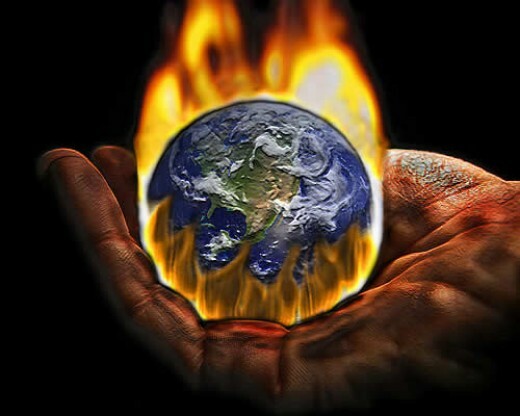 With the advent of the new year, perhaps it’s a good time to once again expose the global warming narrative for what it actually is: fact-free alarmist fear-mongering – scientific fraud, to be exact – designed to shut down fossil-fuel industries, enrich carbon traders, soak taxpayers and reduce affluent western societies to a state of pre-industrial poverty – all the while purporting to save the world from what turns out to be an imaginary man-made bogeyman. The body of evidence discrediting the global warming-turned -“climate change” theory (yes, it’s only a theory) is growing exponentially as it smacks head-on with observational and empirical facts that undermine the entire manufactured edifice of anthropogenic global warming (AGW). Take a look at the views of some of the experts, including a few candid assessments by die-hard True Believers, who reveal just how little evidence exists to keep alive the theoretical Global Warming Godzilla that lumbered onto the scene in the late 1980s. 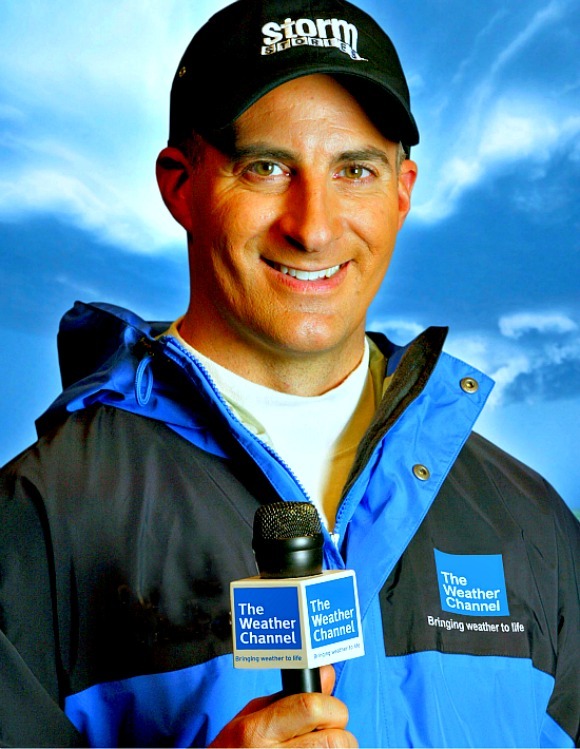 Jim Cantore: Has he gone Warmist? In a Dec. 14 Newsmaker luncheon at the National Press Club in Washington, he appeared to single out “climate change” as the culprit behind this year’s spate of severe weather events afflicting planet Earth’s Garden of Eden. He then segued into a few gut-instinct observations: “And being a guy who stands out in the rain all the time . . . it’s raining harder out there. And that’s really weird. It’s not scientific, but when I’m out there in it, it just seems to be raining a lot harder. More water vapor means more rainfall,” he said. Well, OK, Cantore got the “It’s not scientific” part right. This isn’t the first time Cantore has parroted the official anthropogenic global warming (AGP) – a.k.a. climate change – meme. (Note: we should dump the term “climate change.” The earth’s climate has been constantly changing for billions of years.) In an interview with Brian Williams on NBC Dateline last April, he appeared to blame April’s deadly tornado outbreak on global warming. WILLIAMS:I guess we’re all looking for ways to explain away what happened here. CANTORE: It’s hard to do that. So give Cantore credit for not going off the deep end and regurgitating the “man is frying the planet” talking points peddled by the Michael Mann Hockey Stick crowd. He says the alarmists continue to ignore two major climate indicators that have turned cold – the Pacific Decadal Oscillation (PDO) and the cooling of the mid-troposphere. Climate change alarmists have been scorched by real-world facts. From this day forward, I will endeavor to regularly inform, enlighten and entertain those readers (both skeptics and self-confessed warmists) who are exposed daily to a constant stream of climate change propaganda peddled by lazy, uninquisitive reporters who willingly serve as advocate-stenographers (Andrew Revkin, are you reading?) for global warming alarmism. As I’ve done in the past, let me mention one very important point: the theory of human-induced global warming is exactly that — a theory. The scientists promoting it — the Jim Hansens, Kenneth Trenberths and Phil Joneses of the world — have never demonstrated conclusively that human CO2 emissions are warming the planet. Even laymen researchers who’ve done a few hours of homework (and don’t rely on PR releases for their data) know that humans produce a whopping 0.28 percent of the so-called greenhouse gases, with anthropogenic (man-made) CO2 accounting for a minuscule 0.117 percent of the total. Using a real-world comparison, 0.117 percent of a football field would equal just over four inches. The warmists’ scientific conclusions are based purely on climate modeling, not experimentation, observation or hard empirical data. Worse, they’ve turned the scientific method on its head. Instead of constructing a theory and then rigorously testing and re-testing to see if it stands up to scientific examination, they start with a pre-ordained conclusion (i.e., fossil fuel-based CO2 emissions cause the earth to warm) and then manipulate and tune their computer models to churn out data that support it. In short, human-induced global warming is the product of laboratory computer simulations and over-active imaginations; it doesn’t exist in the real world. Another article of faith that deserves a healthy dose of skepticism — from warmists and lukewarmists alike — is the so-called greenhouse theory. According to this sacrosanct doctrine, CO2 and other greenhouse gases “trap” infrared readiation, thus acting like a thermal blanket, raising the earth’s atmospheric temperature to a cozy 33 degrees centigrade. Lucky humanity: Without this atmospheric greenhouse guardian, we’d spend a small fortune heating our homes while arming ourselves against nuisance polar bears roaming the countryside. It should be noted that the greenhouse theory is relatively modern in origin and, as astrophysicist Joseph Postma observes, “is never mentioned in any fundamental work of thermodynamics, physical kinetics or radiation theory.” Try as you may, you won’t find the terms greenhouse effect or glass-house effect mentioned in any classical textbooks on experimental or theoretical physics. ORLANDO, Fla. – Faced with growing criticism, the CO2-molecule lobby said today that it will no longer take the heat for earth’s climate change and has launched a campaign to restore its blackened reputation. Even with the help of gridded, interpolated, homogenized and UHI-corrupted surface data, it doesn’t look like 2010 is going to be the “hottest year ever” on record. The negative PDO, increased frequency of La Ninas and continued weakness in solar activity are going to eventually put the kibosh on global warming alarmism. Earth’s ever-changing climate is not subject to the fantasies of Playstation modelers. Global warmists are abandoning ship as the 'climate change' theory collides with scientific reality. 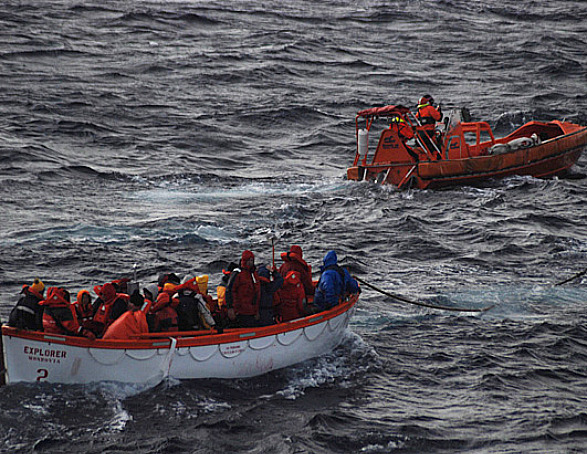 As the hull-breached “SS Climate Change” struggles to stay afloat after smashing bow-first into the reality of scientific fact, more Warmists-turned-Realists are abandoning ship and heading for the lifeboats. The latest anthropogenic global warming (AGW) True Believer to don a life vest is physicist Dr. Denis Rancourt, a former professor and environmental science researcher at the University of Ottawa. Is Earth headed for another Little Ice Age? Geoff Sharp, publisher of the Landscheidt.info Web site, has posted an informative article describing a combination of climate-change events (i.e, solar, oceanic and volcanic) that could very well lead to a extended period of global cooling similar to that which occurred during the Little Ice Age. By the way, Landscheidt.info is a must-visit site for anyone interested in tracking solar activity. “The winters of the past two years have been noticeably colder. The northern hemisphere in particular has experienced record cold, record snow and a rebuilding of the Arctic sea ice extent. The southern hemisphere this winter has also seen record low temperatures in South America which is resulting in many hundreds of deaths (human and livestock). “There are a number of players involved which can be attributed to this cooling trend and when they come together they are capable of dropping the world’s temperatures by a significant amount.